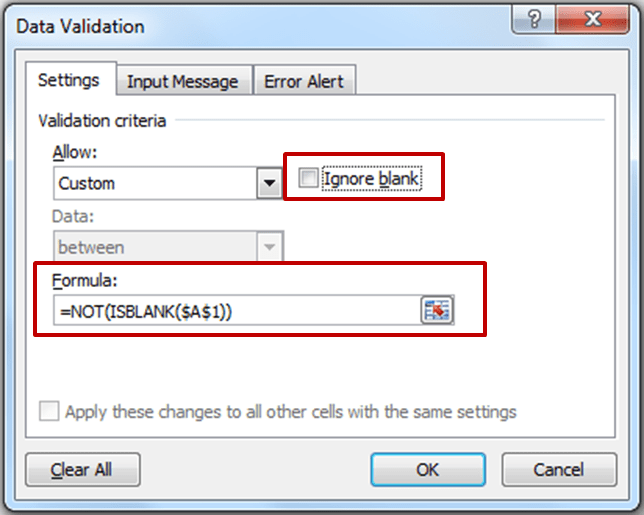 Excel Tip: Enable Data Entry in a Cell only if a Dependent Cell is Filled - Something New Everyday! A colleague wanted a similar construct in Excel, and the only thing that came to my mind was Data Validation. Now when you enter something in cell A2, and if A1 is empty, an error will be displayed.